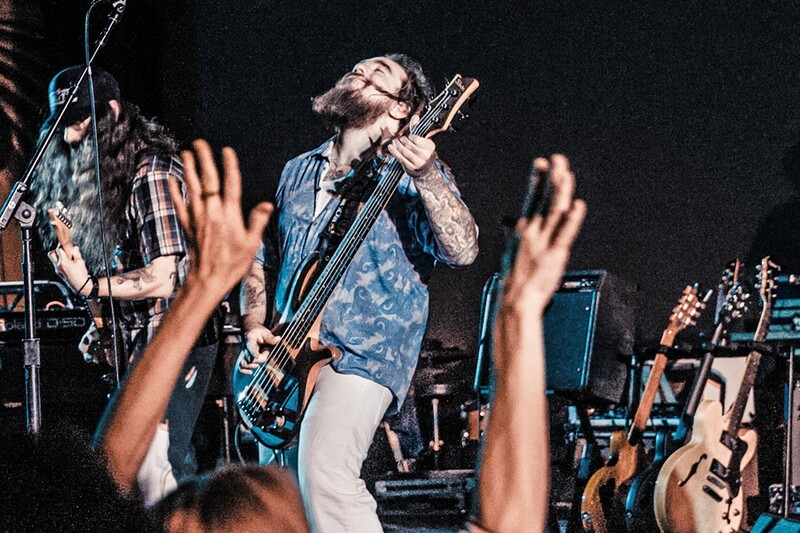 When I got singer-songwriter and Cadillac Angels frontman Tony Balbinot on the phone, he was on the road, making his way from Arizona to California. Tony is pretty much always on the road, driving a continuous loop through the Western states, where he taps regional musicians to back him at his gigs. Some of them have been playing with him for decades. THE REAL DEAL Old-school rocker Tony Balbinot and his band the Cadillac Angels release Hillbilly Girls on Dec. 16, at Frog and Peach. "I kind of bounce back and forth, sort of like a gypsy, going where the music takes me," Tony said. "The music scene in California has suffered in recent years thanks to property values. You know how it's gone. You've seen it. It's expensive to run a club now, so my loop has moved farther east." 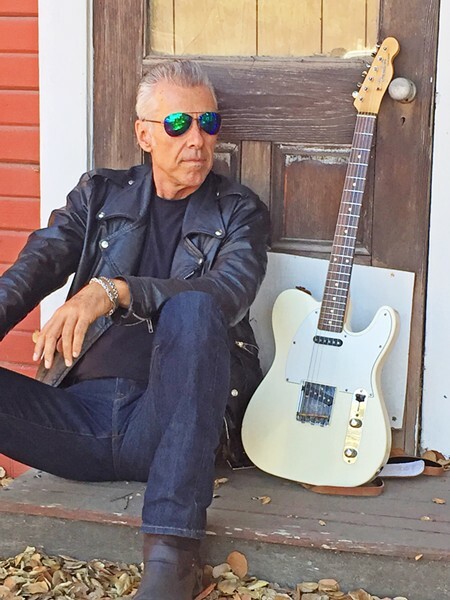 Tony and the Cadillac Angels, his original rock band that's influenced by roots rock, rockabilly, surf rock, country, blues, R&B, and other Americana sounds used to be stationed in Santa Barbara, but about the only place he still finds to play there is Cold Springs Tavern. "A lot of wineries and breweries are having music, but in a lot of these places, the music sort of feels like an afterthought," Tony said. "There's not a stage or a stage set up in a corner of the room." At one gig, he had to stop singing and move away from the mic every time the bar-back had to get through. Such is the life of a traveling musician. Thankfully, the small gigs are offset by festival spots and seasonal concerts in the park that more and more cities are doing. "It's interesting what a cross section of listeners we're getting," Tony added. "It's heartening to see a lot of those under 21 interested in what I'm doing. We were playing a gig in Flagstaff, and I looked out the front window of the club and there was a whole group of underage kids dancing that couldn't come in. I also see it in our online sales that a wide age group listens to this band. I think a lot of young people are getting burned out on techno or pop and they're digging deep, seeking out people like Big Bill Broonzy and Link Wray." LOCALS ONLY! Big Big SLO presents Locals Night at the Fremont Theater with Word Sauce (pictured) and The Maybe Nots on Dec.14. Because Tony is rail thin, with cuffed jeans and slicked-back hair, he often gets pigeonholed as a rockabilly artist, but that's inaccurate. "I've always been kind of uncomfortable being categorized into a decade or style. We borrow from this style or that, but a lot of groups borrow from different musical forms." The Cadillac Angels recently released Hillbilly Girls, a new 10-song collection featuring Tony's smoky-smooth vocals, electrifying guitar work, and rumbling songs. He's actually not sure how many albums he's recorded but it's got to be around 20, and this is the first one he's billed as "Tony Balbinot and the Cadillac Angels," because he doesn't work with a single band anymore. One thing hasn't changed, however; he's still into vintage gear. "It seems like I'm forever on the search for that instrument that interests me," Tony admitted. "I play a lot of Gretsch guitars—I have a Gretsch endorsement—but as my musical style has evolved, I find hollow bodies don't quite work for many of my songs because I need those chords to ring without feedback. On this album I played a Guild Thunderbird, an Epiphone Firebird, a Gibson Flying V, and a Stratocaster. I also used a 1964 Sears Silvertone amp, an early Fender Champ, and a Gemini Satellite amp. I'm just more interested in the old amps because they're tube amps and easier to repair. It's like the car I drive—a '64 Chevy pickup. I do all my own repairs." The one thing he upgraded on his truck was an electronic ignition, which was also what failed while he was on the road. 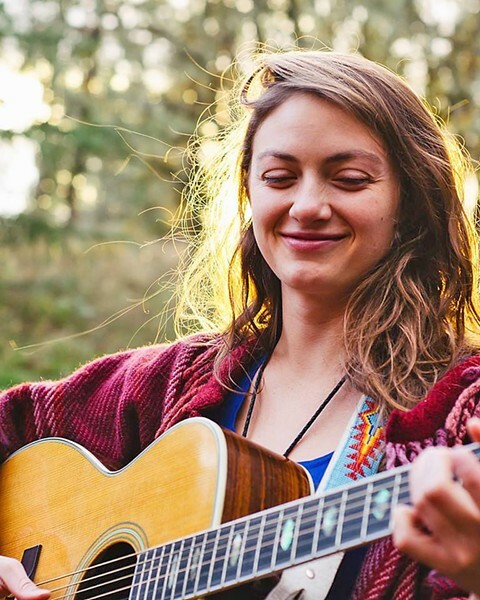 LADIES NIGHT For the Folks hosts singer-songwriters Caitlin Jemma and Margo Cilker on Dec. 14, at Bang the Drum. "It was 103 degrees in Victorville, and I was in a motel parking lot trying to fix it," Tony laughed. "Luckily I still had my old points and condenser in my toolbox. My last car was a '65 Chevy pickup, and I put 300,000 miles on it. I'm not breaking any land speed records out there, but I find if I'm going 65 miles per hour, people will give me wide berth, maybe because I look like something out of the movie Deliverance. If you're going that slowly in a new car, people are annoyed. I also find the long haul truckers love it. They're always giving me the thumbs up." Tony's old school, and like any old-school rock and roller, a lot of his songs on the new album are about girls. "God, yeah, I know. I didn't even notice that until the album was done," Tony said. "The title track 'Hillbilly Girls' was actually influenced by my mom and her sisters, who were wild, wild, wild. My mom married eight times, and she and her sisters were wild before being wild was fashionable. My aunt Lorraine wore gold lamé, leopard print, and had a cigarette holder encrusted with rhinestones. The song 'Lil' Hombre' was inspired by meeting Ritchie Valens' sister Consuela in Ohio. Later, I saw her again at a NAMM [National Association of Music Merchants] show in Anaheim, and she remembered me." Consuela was at the conference displaying her brother's guitar, and she asked Tony if he wanted to see it. He naturally said yes. VOX DELUXE Grammy Lifetime Award winners The Blind Boys of Alabama perform their Christmas show at SLO's Performing Arts Center on Dec. 19. "Two armed guards went and got it, and she handed it to me and let me play it," Tony gushed. "I mean, this is the Holy Grail! This is the guitar that recorded 'La Bamba,' 'Come On Let's Go,' and 'Donna.' Then Consuela told me how he had repainted the guitar himself in his high school shop class and had played it at a gig before the paint had set, and she showed me his thumbprint on the back of the neck of the guitar. Man, I was floating on air." Most of Tony's songs don't come from personal experiences. Instead they come from his time on the road. "I eat alone a lot, and even though I've been doing it for years, it's still a little awkward to walk into a restaurant by myself," Tony admitted. "But because I'm alone, I overhear people's conversations. I'm basically eavesdropping! My song 'Black Cadillac' [from another album] is based on hearing a couple talk about their relationship. That's where I get a lot of what I write about—at Denny's and waffle houses. Yeah, I get lonely ... a lot. That's one of the things I've had to come to terms with, the nature of the beast, and I'm not complaining about it at all. Sometimes I'm driving through and see people in the car next to me going to a job they hate, stuck in traffic. I don't have to do that, so I can put up with a little bit of loneliness on the road." In fact the road itself has become a friend. Tony knows a lot of the small highways like the back of his hand, pulling off on ranch roads to eat at classic out-of-the-way diners, meeting the people who live on the fringes of civilization. 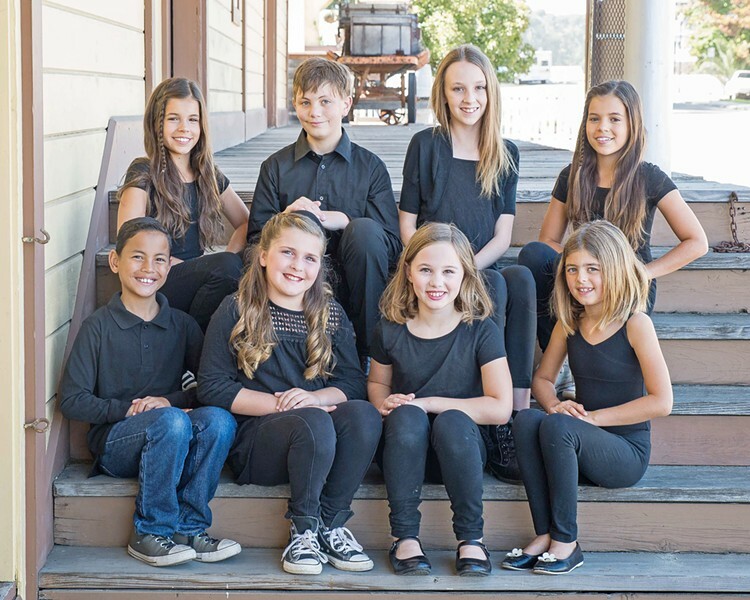 ADORABLE Coastal Youth Theatre singers are one of several groups to perform at the 10th Annual Rotary Christmas and Holiday Sing-Along on Dec. 17, at the Clark Center. "I was going through Ludlow, which is basically a Chevron station with $5-a-gallon gas, a Dairy Queen, and a bunch of gutted-out houses and service stations off old Route 66, and I went down a dirt road with all these ramshackle old buildings. My truck doesn't have a radio, but I have a boom box that runs on batteries on the seat next to me, and I had CCR's [Creedence Clearwater Revival's] 'Run Through the Jungle,' playing and I just got out and danced. That's when I really knew that this highway had become a part of me or I'd become part of it." Tony Balbinot and the Cadillac Angels will play a CD release party for Hillbilly Girls this Saturday, Dec. 16, at the Frog and Peach (10 p.m.; 21-and-older). On Thursday, Dec. 14, Big Big SLO presents Locals Night at the Fremont Theater with Word Sauce and The Maybe Nots (7 p.m.; all ages; free through eventbrite.com or $5 at the door). For the Folks hosts singer-songwriters Caitlin Jemma of Oregon, and Margo Cilker of San Francisco, on Thursday, Dec. 14, at Bang the Drum (7 p.m.; all ages; $10 at the door). 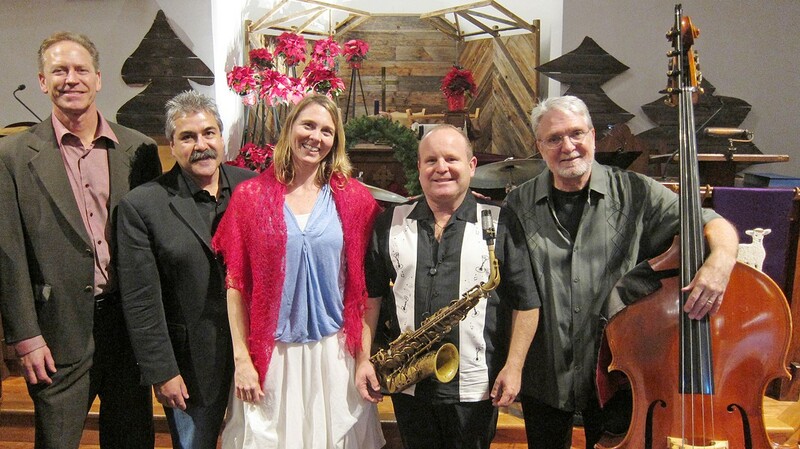 HOT JAZZ Judith and the Jazz Krewe is one of two groups playing in the Pismo Beach Vets Hall on Dec. 17. 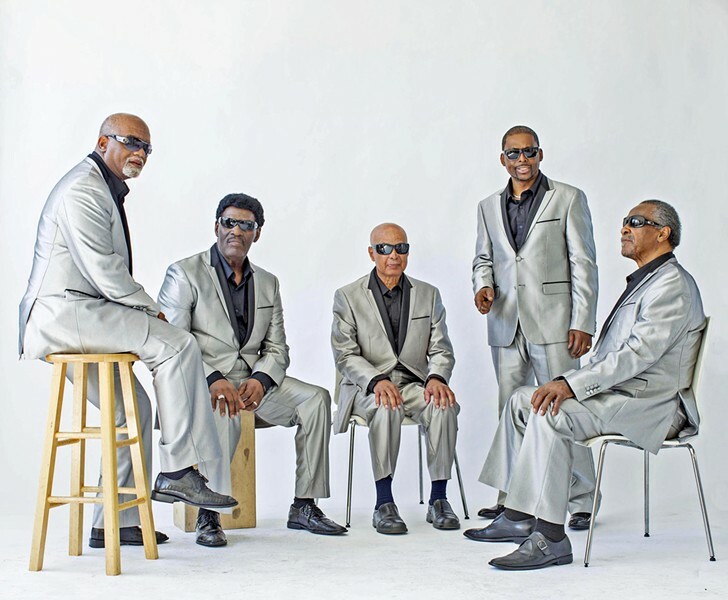 Five-time Grammy Award and Grammy Lifetime Award winners The Blind Boys of Alabama play their Christmas show at SLO's Performing Arts Center on Tuesday, Dec. 19 (7:30 p.m.; all ages; $30.40 to $58 at calpolyarts.org or (805) 756-4849). Joined by New Orleans' Preservation Hall Legacy Horns and vocalist Ruthie Foster, the concert features songs from the Blind Boys' Talkin' Christmas! album and Grammy-winning Christmas recording Go Tell It on the Mountain. The 11th annual How the Grouch Stole Christmas with The Grouch and Del the Funky Homosapien returns to the Fremont Theater on Saturday, Dec. 16 (9 p.m.; all ages; $22.22 at eventbrite.com and Boo Boo Records). Special guests Reverie and DJ Fresh are kicking off this night of hip-hop. TIS THE SEASON Enjoy a Christmas Jazz Vespers with the George Garcia Quartet and vocalist Inga Swearingen at SLO's First Presbyterian Church on Dec. 17. The 10th Annual Rotary Christmas and Holiday Sing-Along returns to Arroyo Grande's Clark Center on Sunday, Dec. 17 (4 p.m.; all ages; $12 adults and $6 for kids at clarkcenter.org or (805) 489-9444), with the Arroyo Grande High School Choir, the Lucia Mar Youth Choir, and more. 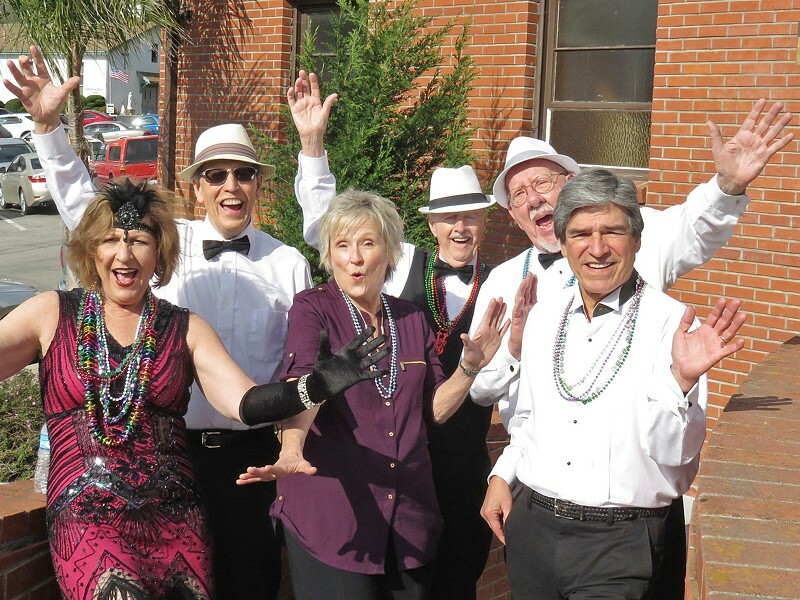 Basin Street Regulars present local hot jazz artists the Starlight Dreamband and Judith and the Jazz Krewe on Sunday, Dec. 17, in the Pismo Beach Vets Hall (11 a.m. jam, show at 1 p.m.; all ages). This month only, there will be a holiday buffet and champagne. Bring a dish to share (salad, dessert, or an appetizer) or throw five dollars into the pot.